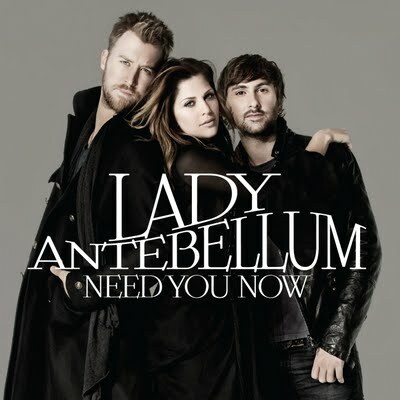 After winning three CMA awards and selling over a million copies of its self-titled 2008 debut, Lady Antebellum returns with an uninspired sophomore effort that is a prime example of style over substance. One of country music’s most hyped new acts, the trio (comprising singers Hillary Scott, Charles Kelley and multi-instrumentalist Dave Haywood) has little to say on a record constructed almost entirely from derivative licks, recycled pop arrangements and an unrelenting parade of clichés–all factors that combine to render Need You Now a 44-minute blur of ineffectual, unmemorable pop country. Need You Now sounds slick and pretty, but between the broken metaphor at the core of “American Honey” (a typical take on innocence lost), the meandering inner dialogue of “Hello World” (which sounds like something left on The Fray’s cutting room floor), and an atrocious repackage of Rascal Flatts’ “Me And My Gang” (“Stars Tonight”) these eleven songs demonstrate consistently heavy-handed songwriting. The one bright spot is the exquisite title track, on which Scott and Kelley duet with undeniable chemistry. Unfortunately, they fail to replicate that magic and elsewhere both singers prove strictly competent. Scott, in particular, struggles to mesh her smoky, quiet alto with the album’s highly processed musical settings.